Death is only the natural transition to another state, a rebirth, a new opportunity for the unending life cycle to start again. That’s how the Maya viewed death. They used to bury the deceased under the ground of their homes, with offerings that would help them along their new path, as well as objects from daily life connected to the trade they had in their life. 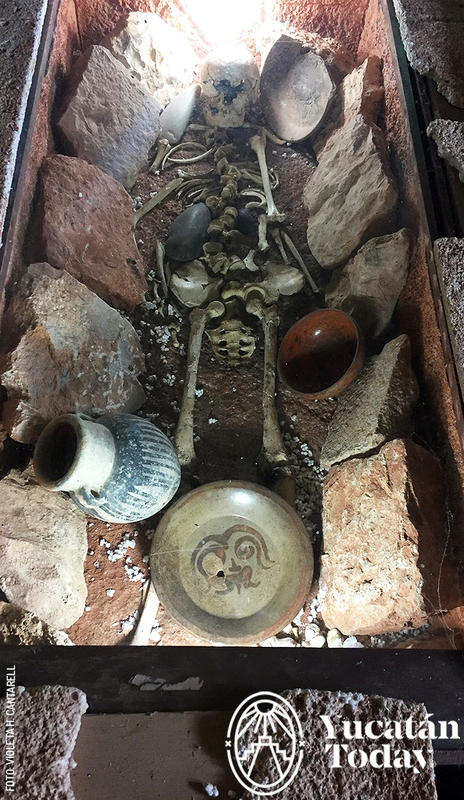 You can find this and much more in the Museo de las Momias (mummy museum) in Santa Elena: a museum you probably didn’t know existed in Yucatán. Before it came under Spanish control, Santa Elena was a Maya settlement called Nohcacab (big village) that belonged to the Tutul Xiú chiefdom, founder of Uxmal. Today the town’s coat of arms still keeps that name, proud of its Maya roots. Nestled into the Puuc Route, 15 km from the archaeological site of Uxmal and 18 minutes from Ticul, you will find this peaceful village that holds one of Yucatán’s least known findings: the mummies found inside the main church’s floors. Built around 1779 over a small pre-Hispanic hill, this stark temple dedicated to San Mateo is imposing in its architecture, due to the long steps that lead from the town’s central plaza to its main door, as well as the façade’s strong reddish color. It features an atrium, temple, and sacristy. On one side, in the parish, is where you’ll find the mummy museum. It has three rooms that exhibit a traditional Maya burial, the mummies, and the history of henequén. The Maya burial allows you to appreciate the way life is honored, in the land of this wise culture, and as a preliminary to appreciate the mummies, discovered when remodeling work was being done on the floors of the church. Its preserved state is due to the characteristics of the soil that allowed the mummification with the passage of time. 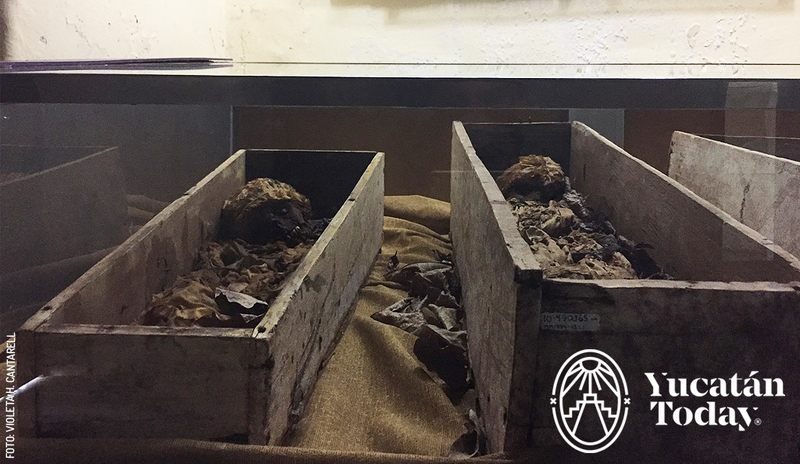 There are four mummies of children between 1 and 7 years of age who are believed to be the children of a German colony that was established in the town. They are shocking! In the third room you’ll be able to appreciate photos of the attractions around the area, Maya artifacts, as well as some of the history of henequén. As is often the case in Yucatecan towns, the main park is located on the side of the church, and is the epicenter of all activities. During the day browse through the market and notice how life goes on with peace and harmony in this mystical zone surrounded by the characteristic Puuc Route hills. There are several lodging options nearby. Also, you can visit Uxmal (and Choco Story to learn about cacao), Kabah, and Labná. From Mérida: take the bus heading to Campeche and ask for a stop in the town; or the one that goes to Ticul and from there a combi to Santa Elena.